Available in 1.0 mm thickness. Supplied with power coating and locking arrangement. 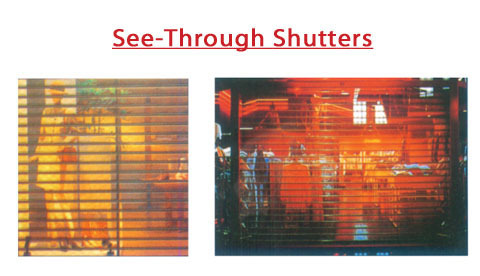 Closed shutters gives aesthetic look from outside like curtain with lights inside. Ideal for show rooms,pooja rooms and car sheds.